Philip Veale Photography: Autumn Dawn, The Brecon Beacons. 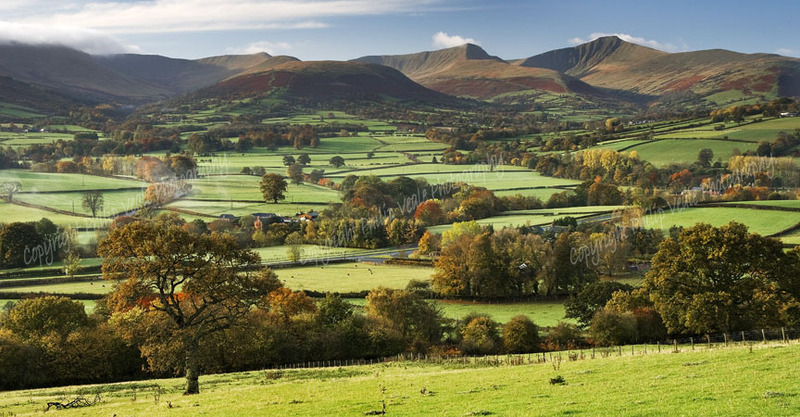 The early morning light on the landscape reveal the golden colours of autumn toward Pen y Fan and Cribyn in the Brecon Beacons National Park, Wales. Print size 24" x 12" (60 x 30 cm) including border.